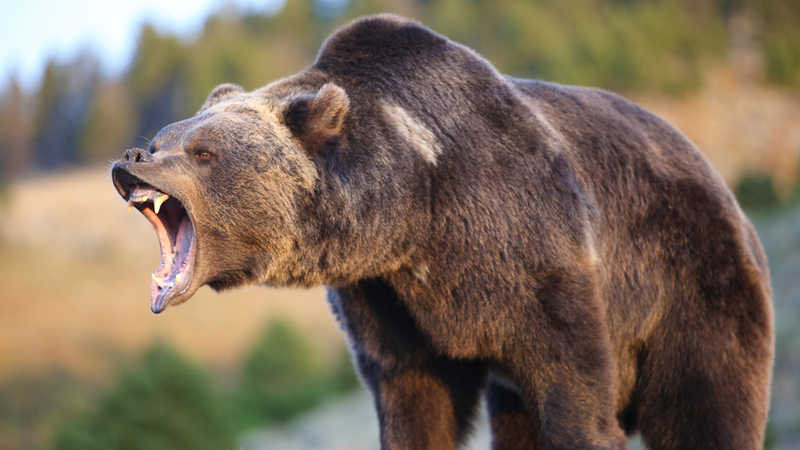 BOZEMAN, MT -- A man from Montana is a very lucky to have survived not one, but two maulings from a grizzly bear. Todd Orr posted videos and photos on Sunday recounting the attack. Stating that he was scouting for elk and making sure his presence was known to bears by shouting. He came to an open meadow where he encountered a female bear with her cubs. He said he shouted at the bear to make it leave, but had the opposite effect. That's when the bear charged. WARNING: The video and photos posted below are graphic in nature and the video contains some profanity. Viewer discretion advised. He attempted to stop the charge with bear repellent but the bear charged through the orange mist which had no affect. He covered his neck with his arms but in his words each bite "was like a sledge hammer with teeth." After a few minutes the bear left, but as Orr was walking down the trail he was attacked a second time by the same animal. In this attack, the bear bit his arm and he heard bones snapping. Once again, the bear left and Orr was able to make it to his vehicle and drive himself for help. He has a multitude of scrapes and bruises, a chip out of the bone in his forearm and a 5-inch gash on the side of his head. He posted several photos on his facebook page of the wounds he sustained from the bear attack. You can read Todd Orr's full account of the attack on his facebook page.